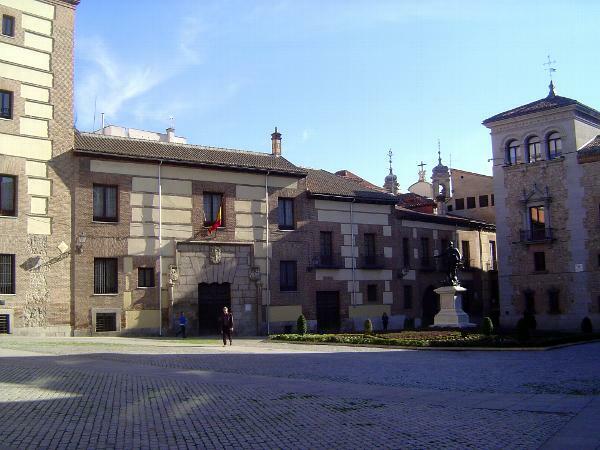 No more than 300 yards from the Plaza Mayor, the Plaza de la Villa is older still. In the 1500s this was Madrid's most important civic space. A drawing from 1562 shows it with a bread mart and granary, as well as a jail and council hall. Palaces once fronted the plaza. One survives: it is the Lujan Palace, shown here with the edge of its tower.